Anders Jahre's Awards for Medical Research honor research of outstanding quality in basic and clinical medicine. The prizes are awarded by the University of Oslo and are among the largest within Nordic biomedical research. The prize is awarded by the University of Oslo after nomination by a committee appointed by the University. The award includes a grant of NOK 1,000,000. The Anders Jahre Senior Medical Prize (the main prize) for 2015 is shared between Ludvig M. Sollid (UiO and OUS) and Rikard Holmdahl (KI, Stockholm). Sollid is awarded for his groundbreaking research on coeliac disease. 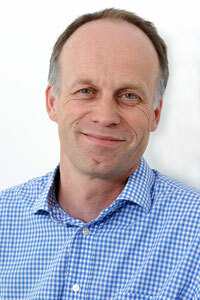 Anders Jahre's Awards for Medical Research will be distributed in the "University Aula" October 15th. This is the second time Ludvig Sollid receives a Jahre award - he won the prize for young researchers in 1998!